RAPs is delighted to be supporting the Sri Lanka Women’s Swimming Project, and welcome their staff on board as RAPs members. Founded by Christina Fonfe after the 2004 tsunami, The Sri Lanka Women’s Swimming Project uniquely overcomes social and cultural issues to address the global drowning problem by giving free swimming lessons to women and teenage girls in complete privacy, on the premise that if they can swim, they will teach their children also. The Project also gives free training to women swimmers to qualify them as Swimming Teachers to internationally recognised standards and helps them to find careers in teaching swimming as well as giving free lessons to those learning to swim with the project. Their approach is to begin swimming training based on maximising survival. The project’s initial objective is to make the ability to float-and-breathe in a back-float for long periods the instinctive, default, zero-energy-expenditure, resting swim position for all our swimmers. In this way, they can guarantee themselves a clear airway immediately after any awkward entry and total submersion and can maintain this balanced and relaxed position effortlessly. Unlike in the UK, the teachers involved in the project avoid calling their students swimmers and certificate them in stages as ‘Survivors’ for set lengths of time and distance until they can float for 10 minutes and swim 100 metres. At this point they get the ‘I can swim, Can you?‘ certificate, which effectively is a ‘Passport’ to safe swimming in any pool. With the awareness that swimming in anything other than a clean, clear pool can bring on a rush of frightening new experiences which can overwhelm their limited skills, this project has invented a ‘Visa’ to cover swimming in the sea, which requires a 15 minute float and a 400m sea swim, plus exposure to waves, rocks and currents. The overall aim is to make people feel safe in water so they can freely and safely enjoy the same benefits of swimming, which is currently enjoyed by most tourists. “We believe making people safe in water calls for just as much professionalism as is it required to teach competitive swimming” said Christina Fonfe, Founder of The Sri Lanka Women’s Swimming Project. “We are delighted to be supporting such a worthy cause. It’s fantastic see to that this project is making a real impact to the lives of women and children in Sri Lanka, with over 2,000 women now being able to swim and we hope for this work to continue. He continued to say, “RAPs is 100% behind the Sri Lanka Women’s Swimming Project by ensuring that their staff are supported throughout their careers with on-going professional development through RAPs”. The Project is the only non-state member of the International Federation of Swimming Teachers Associations, who’s UK Swimming Teacher Certificates are recognised internationally. The Project also gives training in Pool Maintenance, Pool Rescue, Resuscitation (CPR) and First-Aid. The following women are now all part of the Register of Aquatic Professionals, and despite all the odds have managed impact the lives of others through swimming. 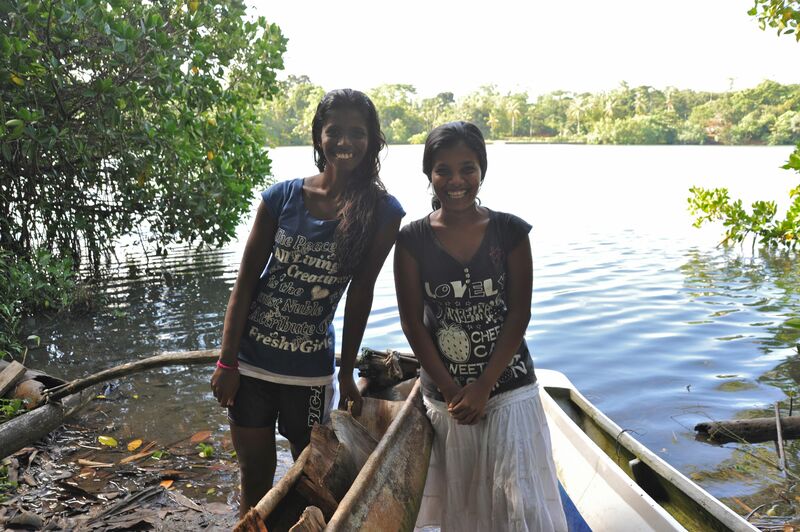 Sumudu taught herself to swim in a crocodile infested lagoon and qualified with Indu, her cousin, who just won a severely contested state scholarship to read law and came to the project as a complete non-swimmer, within six months she too had qualified as a swimming teacher. Finally there is Sanduni who, with no school qualifications to speak of, was saved from a life in the garment factory by learning to swim with Christina at age 16 and went on at age 21 to become a Head of Juniors Swim Coach at an academy run by Sri Lanka’s only swimming Olympian, she is now in Abu Dhabi working at an all-female swim academy teaching Muslim women to swim.